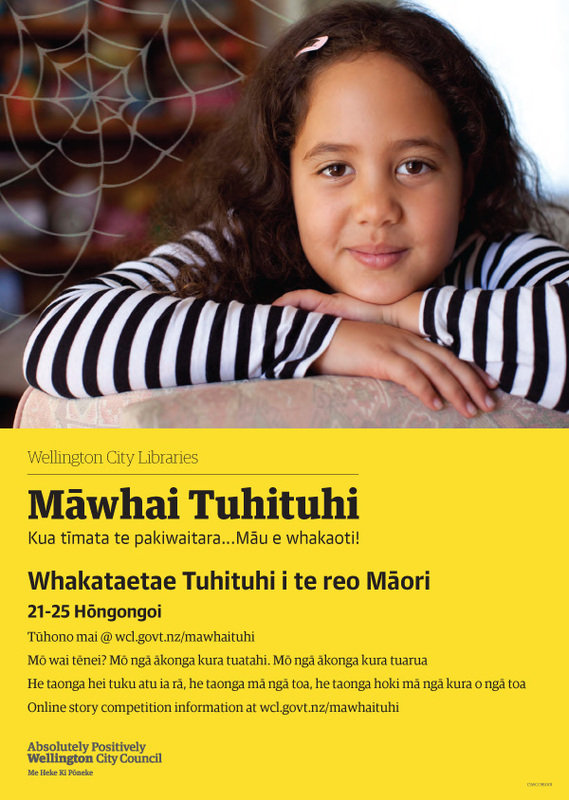 To celebrate Te Wiki o Te Reo Māori this year, Wellington City Libraries is weaving an online story! Well-known author, Paora Tibble, has written the opening paragraph of a story and each day, children and teens have a chance to write their own paragraph to continue the story in Te Reo Māori. There will be prizes every day for the best entry, as well as prizes for the over-all winner – including book vouchers, library bags and a tablet! The competition will run during Te Wiki o Te Reo Māori, from Monday 21 July until Friday 25 July. Check back here next week for more details!